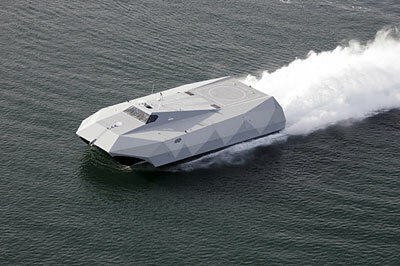 The Stilleto stealth ship is designed for shallow water work with special forces. 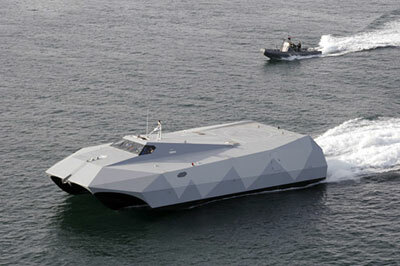 It’s got speed, stealth and communications abilities that were only dreamed of 10 years ago. 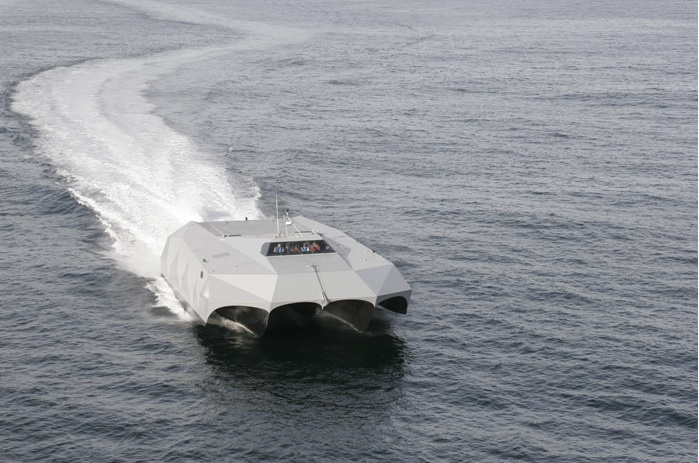 50 knots is around 93km/hr or 56mph…Look at the knuckle in the wake this thing left… That’s pretty good turning for something that weighs 60 tons! 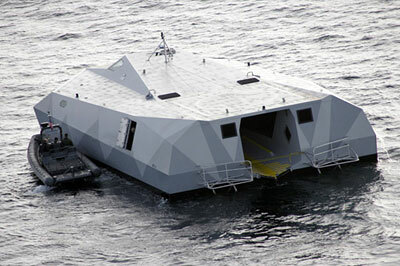 This 88 foot (28.6m) ship can get U.S. Navy Seals in and out of places that they might have had a hard time with before. 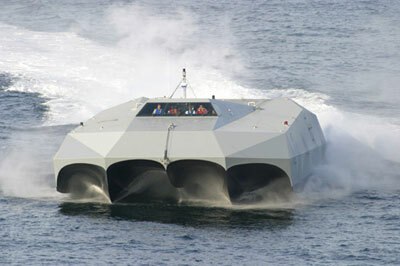 The military likes it so much that they sent a prototype to Columbia on active duty to catch drug smugglers.